Henry P. Hansen, in his office at Oregon Agricultural College, Corvallis, Oregon, 1960s (photo courtesy Oregon State University Archives). This Internet report was initially prepared for George Taylor, Oregon State Climatologist, Oregon State University (OSU), Corvallis, Oregon as partial fulfillment of my PhD requirements. It was launched on August 3, 2002 as a "Hypertext Outline/Draft" by NW Maps Co. at: http://nwmapsco.com/ZybachB/Reports/2002_HansenHP_Bibliography/index.html. In February 2017 a grant was provided by John Thomas, Jr., of Independence, Oregon to complete and update the 2002 Outline/Draft by: 1) adding 40 PDF files scanned from Hansen's personal collection of his 67 acknowledged publications and in possession of the author; 2) uploading and linking these new files to the existing index; 3) completing the internal index hyperlinks as originally outlined; 4) and migrating the entire updated Internet report to ORWW for greater public access: this website. This report was first launched on March 6, 2017. Archival scans were completed for NW Maps Co. by McKenzie Peters of Cottage Grove, Oregon. Additional Hansen titles are planned to be added in the future as they become available. *Please Note: The numbering system used for these publications was devised by Hansen, and the numbers and titles on most of the scans -- along with a few minor notations on some of the documents -- are in his own writing. The few numbers that include an "-M*" are publications that include my own heavy-handed annotations; my unmarked copies were donated to OSU Archives nearly 30 years ago. Once clean originals can be relocated and scanned, they will be used to replace the annotated files. Finally, many of these original documents had odd or unusual margins, with some pages having little or no margin at all. These imperfections are included in the scans, which accurately reflect the original documents. 1. Hansen, Henry P. 1933. The Tamarack Bogs of the Driftless Area of Wisconsin. Bulletin of the Public Museum of Milwaukee, 7: 231-304. 2. Hansen, Henry P. 1937. Pollen Analysis of Two Wisconsin Bogs of Different Age. Ecology, 18: 136-149. 3. Hansen, Henry P. 1938. Ring Growth and Reproduction Cycle in Picea Engelmanni Near Timberline. University of Wyoming Publications, 5: 1-9. 4. Hansen, Henry P. 1938. Pollen Analysis of Some Interglacial Peat from Washington. University of Wyoming Publications, 5: 11-18. 5. Hansen, Henry P. 1938. Postglacial Forest Succession and Climate in the Puget Sound Region. Ecology, 19: 528-542 [PDF_3_MB]. 6. Hansen, Henry P. 1939. Pollen Analysis of a Bog in Northern Idaho. American Journal of Botany, 26: 225-228. 7. Hansen, Henry P. 1939. Pollen Analysis of a Bog near Spokane, Washington. Bulletin of the Torrey Botanical Club, 117: 215-220. 8. Hansen, Henry P. 1939. Postglacial Vegetation of the Driftless Area of Wisconsin. American Midland Naturalist, 21: 752-762. 9. Hansen, Henry P. 1939. Paleoecology of a Central Washington Bog. Ecology, 20: 563-568. 10. Hansen, Henry P. and J. Hoover Mackin 1940. A further Study of Interglacial Peat from Washington. Bulletin of the Torrey Botanical Club, 67: 131-142 [PDF_3_MB]. 11. Hansen, Henry P. 1940. Paleoecology of Two Peat Bogs in Southwestern British Columbia. American Journal of Botany, 27: 144-149 [PDF_2_MB]. 12. Hansen, Henry P. 1940. Ring Growth and Dominance in a Spruce-Fir Association in Southern Wyoming. American Midland Naturalist, 23: 442-447. 13. Hansen, Henry P. 1940. Paleoecology of a Montane Peat Deposit at Bonaparte Lake, Washington. Northwest Science, 14: 60-69 [PDF_7_MB]. 14. Hansen, Henry P. 1941. Paleoecology of a Bog in the Spruce-Hemlock Climax of the Olympic Peninsula. American Midland Naturalist, 25: 290-297 [PDF_2_MB]. 15. Hansen, Henry P. 1941. Further Pollen Studies of Post-Pleistocene Bogs in the Puget Lowland of Washington. Bulletin of the Torrey Botanical Club, 68: 133-148. *16. Hansen, Henry P. 1941. Paleoecology of a Peat Deposit in West Central Oregon. American Journal of Botany, 28: 206-212. 17. Hansen, Henry P. 1941. Ring Growth in Three Species of Conifers in Central Washington. Ecology, 22: 168-174 [PDF_2_MB]. 19. Hansen, Henry P. 1941. A Pollen Study of Post-Pleistocene Lake Sediments in the Upper Sonoran Life Zone of Washington. American Journal of Science, 239: 503-522. 20. Hansen, Henry P. 1941. Paleoecology of a Montane Peat Deposit near Lake Wenatchee, Washington. Northwest Science, 15: 53-65 [PDF_3_MB]. 21. Hansen, Henry P. 1942. The Influence of Volcanic Eruptions upon Post-Pleistocene Forest Succession in Central Oregon. American Journal of Botany, 29: 214-219 [PDF_2_MB]. 22-M*. Hansen, Henry P. 1942. A Pollen Study of Lake Sediments in the Lower Willamette Valley of Western Oregon. Bulletin of the Torrey Botanical Club, 69: 262-280 [PDF_4_MB]. 23. Hansen, Henry P. 1942. Post-Mount Mazama Forest Succession on the East Slope of the Central Cascades of Oregon. American Midland Naturalist, 27: 523-534 [PDF_2_MB]. 24-M*. Hansen, Henry P. 1942. A Pollen Study of Peat Profiles from Lower Klamath Lake of Oregon and California. IN: Luther S. Cressman, Archaeological Researches of the Northern Great Basin, Carnegie Institution of Washington Publication 538, Chapter 17: pp. 103-119 [PDF_5_MB]. 25. Hansen, Henry P. and Ira S. Allison 1942. A Pollen Study of a Fossil Peat Deposit on the Oregon Coast. Northwest Science, 16: 86-92 [PDF_2_MB]. 26. Hansen, Henry P. 1942. A Pollen Study of a Montane Peat Deposit near Mount Adams, Washington. Lloydia, 5: 305-313 [PDF_1_MB]. 27. Hansen, Henry P. 1943. A Pollen Study of a Subalpine Bog in the Blue Mountains of Northeastern Oregon. Ecology, 24: 70-78 [PDF_3_MB]. 28. Hansen, Henry P. 1943. A Pollen study of Two Bogs on Orcas Island, of the San Juan Islands. Washington. Bulletin of the Torrey Botanical Club, 7-: 236-243 [PDF_2_MB]. 29. Hansen, Henry P. 1943. Paleoecology of Two Sand Dune Bogs on the Southern Oregon Coast. American Journal of Botany, 30: 335-340 [PDF_2_MB]. 30. Hansen, Henry P. 1943. Paleoecology of a Peat Deposit in East Central Washington. Northwest Science, 17: 35-40 [PDF_2_MB]. 31. Hansen, Henry P. 1944. Post-Pleistocene Forest Succession in Northern Idaho. American Midland Naturalist, 30: 796-803 [PDF_1_MB]. 32-M*. Hansen, Henry P. 1944. Further Pollen Studies of Peat Bogs on the Pacific Coast of Oregon and Washington, Bulletin of the Torrey Botanical Club, 71: 627-637 [PDF_2_MB]. 33. Hansen, Henry P. 1944. Postglacial Vegetation of Eastern Washington. Northwest Science, 18: 79-87 [PDF_2_MB]. *34. Hansen, Henry P. 1946. Pollen Analysis and Postglacial Climate and Chronology. Scientific Monthly, 62: 52-62. 35. Hansen, Henry P. 1946. Postglacial Forest Succession and Climate in the Oregon Cascades. American Journal of Science, 244: 710-734 [PDF_5_MB]. 36. (F. LeRoy Sprague and) Hansen, Henry P. 1946. Forest Succession in the McDonald Forest, Willamette Valley, Oregon. Northwest Science, 20: 89-98 [PDF_3_MB]. 37. Hansen, Henry P. 1947. Postglacial Forest Succession, Climate, and Chronology in the Pacific Northwest. Transactions of the American Philosophical Society, 37: 1-130 [PDF_53_MB]. 38. Hansen, Henry P. 1947. Postglacial Vegetation of the Northern Great Basin. American Journal of Botany, 34: 164-171 [PDF_3_MB]. 39. Hansen, Henry P. 1947. Climate Versus Fire and Soil as Factors in Postglacial Forest Succession in the Puget Lowland of Washington. American Journal of Science, 245: 265-286 [PDF_5_MB]. 40. Hansen, Henry P. 1947. A Study of Postglacial Forest Migrations and Climate in Western Canada. American Philosophical Society, Yearbook of the, 153-155. 41. Hansen, Henry P. 1948. Postglacial Forests of the Glacier National Park. Ecology, 29: 146-152. 42. Hansen, Henry P. 1948. Plants and Environment (a review). Ecology, 29: 398-399. 43. Hansen, Henry P. 1949. Postglacial Forests in South Central Alberta, Canada. American Journal of Botany, 36: 54-65. 44. Hansen, Henry P. 1949. Postglacial Forests in West Central Alberta, Canada. Bulletin of the Torrey Botanical Club, 76: 278-290. 45. Hansen, Henry P. 1948(?). A Study of Postglacial Forest Migrations and Climate in Western Canada. American Philosophical Society, Yearbook of the, 147-149. 46-M*. Hansen, Henry P. 1949. Pollen Analysis of Moss Polsters in Relation to Forest Composition. American Midland Naturalist, 42: 473-479 [PDF_2_MB]. 47. Hansen, Henry P. and E. L. Packard 1949. Pollen Analysis and the Age of Proboscidian Bones near Silverton, Oregon. Ecology, 20: 461-469 [PDF_2_MB]. 48. Hansen, Henry P. 1949. Pollen Diagrams from Labrador (a review). Geographical Review, 399: 688-690. 49. Hansen, Henry P. and J. H. Mackin 1949. A Pre-Wisconsin Forest Succession in the Puget Lowland, Washington. American Journal of Science, 247: 833-855 [PDF_5_MB]. 50. Hansen, Henry P. 1950. Palynological Approach in Ecology. Northwest Science, 24: 27. 51. Hansen, Henry P. 1950. Postglacial Forests Along the Alaska Highway in British Columbia. American Philosophical Society, Proceedings of the, 94: 411-421 [PDF_4_MB]. 52. Hansen, Henry P. 1950. Pollen Analysis of Three Bogs on Vancouver Island, Canada. Journal of Ecology, 38: 270-276 [PDF_2_MB]. 53. Hansen, Henry P. 1950. Postglacial Forest Migrations and Climate in Western Canada and Alaska. American Philosophical Society, Yearbook of the, 171-173. 54. Hansen, Henry P. 1951. Textbook of Modern Pollen Analysis (a review). Ecology, 32: 558. 55. Hansen, Henry P. 1951. Pollen Analysis of Peat Sections from near the Finley Site, Wyoming, IN: Early Man in the Eden Valley. University Museum, University of Pennsylvania, 111-118 [PDF_2_MB]. 56. Hansen, Henry P. 1951. Postglacial Forest Migrations and Climate in Western Canada and Alaska, by Means of Pollen Analysis of Peat Sections. American Philosophical Society, Yearbook of the, 177-180. 57. Hansen, Henry P. 1952. Postglacial Forests in the Grand Prairie - Lesser Slave Lake Region of Alberta, Canada. Ecology, 33: 31-41 [PDF_3_MB]. 58. Hansen, Henry P. 1953. Research and Teaching. Improving College and University Teaching, 1: 2. 59. Hansen, Henry P. 1953. Postglacial Forests in the Yukon Territory and Alaska. American Journal of Science, 251: 505-542 [PDF_8_MB]. 60. Hansen, Henry P. 1953. The Graduate Minor in College Teaching at Oregon State College. Education Record, The, 34: 78-79. 61. Hansen, Henry P. 1955. Postglacial Forests in South Central and Central British Columbia. American Journal of Science, 253: 640-658 [PDF_4_MB]. 62. Hansen, Henry P. (ed.) 1957. Arctic Biology. Biology Colloquium 1957. Oregon State College, 140. 63-M*. Hansen, Henry P. 1961. Cycles and Geochronology. California Academy of Science Occasional Papers, 31: 24 pp. [PDF_6_MB]. 64. Hansen, Henry P. 1965. Pollen History of the American Southwest (a review). Ecology, 46: 216-217: 2 pp. [PDF_1_MB]. 65. Hansen, Henry P. 1967. Palynology of a Bog in Eastern Norway. Review of Palaeobotany and Palynology, 4: 129-133 [PDF_1_MB]. 66. Hansen, Henry P. 1967. Chronology of Postglacial Pollen Profiles in the Pacific Northwest (U.S.A.). Review of Palaeobotany and Palynology, 4: 103-105 [PDF_1_MB]. 67. Hansen, Henry P. 1969. A Palynological Investigation of Peat Bogs in Eastern Norway. American Philosophical Society, The Yearbook of, 304-305 [PDF_1_MB]. 68-M*. 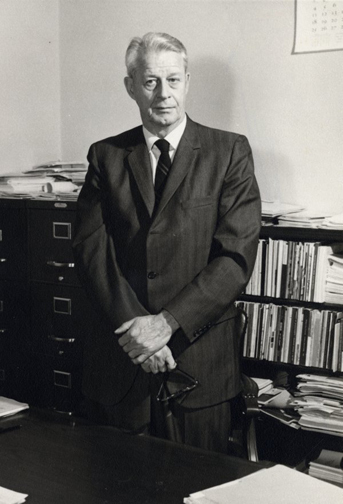 Hansen, Henry P. ca.1961. Publications: H. P. Hansen. Previously unpublished annotated bibliography listing numbered Hansen publications, 1933-1961. Oregon State University, Corvallis, Oregon: 4 pp. [PDF_1_MB]. 69. Hansen, Henry P. n.d. Society, Science, and Education. Previously unpublished speech delivered to Oregon State University graduate students near the end of Hansen's academic career. Oregon State University, Corvallis, Oregon: 22 pp. [PDF_5_MB]. © 2002, 2006 NW Maps Co.
2017 Oregon Websites & Watersheds Project, Inc.